Mark is the associate broker of Robert Jones Realty, Inc. - a local family business that has provided personal service and performance guarantees backed by the Jones' good family name since 1974. "Our success has been measured by the repeat business we get," says Mark, who has worked in the business for 21 years. Mark is an Idaho Vandal, tried and true, having graduated from the University of Idaho Moscow in 1993 with a major in advertising and a minor in psychology. He and Bob Jones have set up an endowment in the University of Idaho Agribusiness Department that awards scholarships to local students who want to pursue and agricultural degree at the University of Idaho. He was a member of the Silver Club Vandal Scholarship Fund in 2005 and a member of the Presidents Vandal Scholarship Fund in 2006. Specialties & Recognition: Mark is a member of the Omega Tau Rho, the Honor Society of the National Association for REALTORS for outstanding accomplishments in the field of real estate, He served on the Risk Management Committee in 2011. 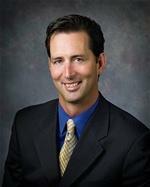 He was president of the Idaho Association of REALTORS in 2011 and South District vice president in 2006-07. He has served on various committees for the association, including those government bylaws, finance and budget, legislative public policy, forms and professional standards. He has also been a member of the Presidents Club and Sterling R Club for the REALTORS Political Action Committee, as well as an Honor Society Member for more than 10 years. Given all that, you could conclude he has been involved on the local board of Realtors, as well. He served as a president of the Greater Twin Falls Association of REALTORS in 2004 and was REALTOR of the Year in 2005. In addition, Mark is past state vice president of Chapter No. 42 of the REALTORS Land Institute, Graduate of the REALTOR Institute. He also is a graduate of the Magic Valley Leadership Academy and a graduate of Scheel's Commercial Property Academy. Why I'm Different: Despite being so busy spearheading improvements in his chosen industry, Mark still has time to put together successful real estate transactions. In fact, he has accumulated more than 100 million in sales in his career. That puts him in the top 1 percent of sales producers in the state of Idaho. He also works hard behind the scenes with the Idaho Association of REALTORS-the largest trade organization in the state of Idaho--to make sure that Idaho retains its freedom of private property ownership. This highly desirable investment ground has just been annexed into the City of Heyburn with zoning of High Residential, Two-Family Dwelling, Retirement homes or Senior housing. Ground is currently being farmed with 2 wheel lines and has 34.3 shares of MID water. Supreme Location in between Twin Falls and Jerome this 4.91+- acres parcel has it all! Ground level, 260 +- feet of Highway 93 Frontage for excellent business exposure to over 5,900 +- traffic per day driving by. Access to Highway 84 less than 1 mile away, accessible for semi trucks to go in or out. Additional acreage available for a larger combined lot. Everything to Wish For & Setting on 2± Acres. Home expected to be completed by 10-15-2018, Great home with lots of upgrades to include Pella windows, granite countertops, tile floors & walk-in shower, 2 tray ceilings, open floor plan, and 18' wide garage door. Covered Patio will have French doors from Master that lead out to West facing view of Canyon & 10' wide 3 window sliding door from dining room. Buyers still have time to pick out colors. In City Limits !! Potential Medium Density Residential site or commercial corner on 2800 East and 3800 North. Property is in the city limits and has 28 shares of Twin Falls Canal company water. There is a 1978 built Quonset with 5,828 +- sq.ft of storage.